Like a blast from the past at the Retro Ski soiree. 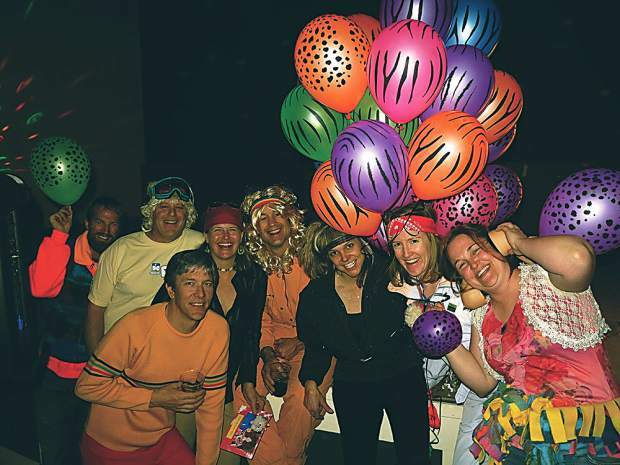 Parents and patrons of the Carbondale Community School suited up for the second annual Retro Après-Ski Party on Friday, Feb. 20, at the Third Street Center. Sporting neon one-pieces, faux fur apparel, Moon Boots and pom-pom hats, all showed their ski flair in the name of the kids. Guests also showed their support by buying tickets, bidding on silent auction items, volunteering for the decorating committee, bringing dishes for the potluck dinner and getting down on the dance floor. All proceeds from the event benefit the Carbondale Community School, a public K-8 charter school located at 520 S. Third Street in Carbondale.